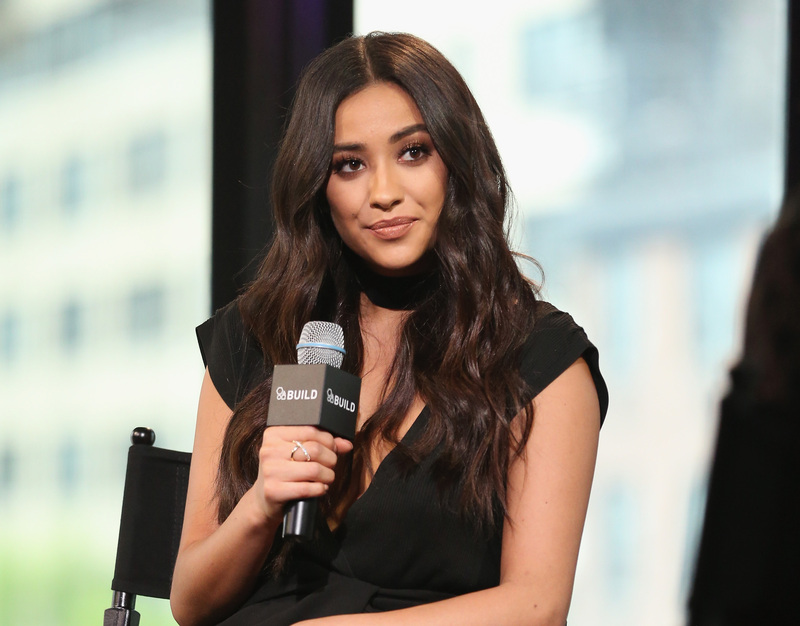 Get ready to see more of Shay Mitchell. The star of "Pretty Little Liars" plays the stepmom of two boys in "Mother's Day," opening Friday. And she's co-parenting with none other than Jennifer Aniston. Meeting the superstar was, well, eye-opening. "I was very nervous. I'd be lying if I said I wasn't. She was very sweet. She introduced herself. She came up and said, 'Hi, I'm Jen,'" says Mitchell. In the film, there are intertwining stories revolving around a TV host (Julia Roberts), two sisters (Kate Hudson and Sarah Chalke) and their ultra-conservative parents and a divorced mom (Aniston) looking for love. The film is directed by rom-com master Garry Marshall. "Getting to work with Garry Marshall is just a pleasure," says Mitchell. "He walked into the room and asked, 'Where's my beautiful girl?' And his wife was right behind me." In fact, it's only thanks to Marshall that you see Mitchell in a bathing suit. "If I don't have a month warning that you're going to be in a bikini, I wouldn't have done it. But he came over as I was eating hot Cheetos," she says, and asked her to take her coverup off. "You don't say no to Garry Marshall. I took it off, Cheetos and belly and all that. It was fine." Indeed, Mitchell is a knockout in real life, in every sense of the word. "I feel sexiest after a workout. I'm talking boxing. Every single day, I go into the boxing (ring). It's full-on. It's very therapeutic," says Mitchell. "I leave feeling stronger." While she doesn't have kids in real life, Mitchell can relate to her character, who boasts enviable dessert skills. 'Tina is very genuine. She does have a genuine love for her husband and her stepkids. She's ready to take on this role. She did her best. Overnight you're now a mom and a wife. I think I would be kind of similar, maybe. I don't think I'd bake those cookies as perfectly as she did, maybe," says Mitchell.